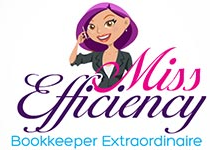 We’re not your ordinary bookkeeper! Owning and operating a business is hard work. Long and demanding hours make it easy to get trapped in a tunnel vision state. It’s important to take time from the daily operation of your business to gain perspective and clarity. Many small business owners feel like slaves to their business. They struggle to find time to step back and work on growing and improving their business. Change isn’t easy but a little planning, action and accountability will pay off. We’re passionate about seeing business owners succeed in their business which is why we’re developed a series of workshops and events. Click the link below to see what’s coming up. A great Business Planning process gets to the heart and soul of your business. Upon completion of pre-work we’ll have a greater understanding of your vision and core values in order to facilitate a four hour planning session to help you create a clear and consise Business Plan. We’ll meet with you on a quarterly basis to monitor, analyse and adjust your key cashflow drivers. Acting as your accountability partner, we’ll help you set annual goals and devise a 90 Day Action Plan to ensure you implement improvement strategies for maximum results. It also stimulates strategic discussion and identifies burning issues, opportunities and challenges so that you respond effectively. And of course, it’s an opportunity for our team to identify greater bookkeeping efficiencies. These are powerful Business Development services that provide immense value and clarity and we look forward to working with you through the journey.